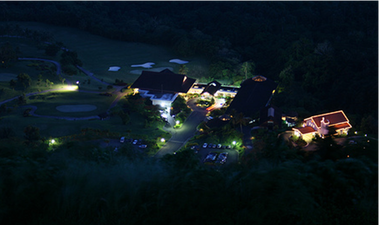 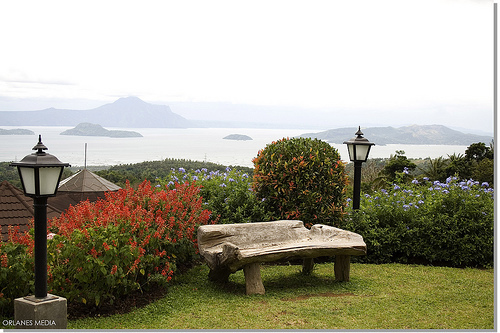 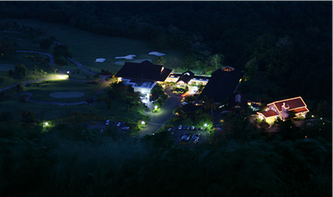 Indulge in nature's grandeur at the first and only tropical residential resort in Tagaytay Highlands. 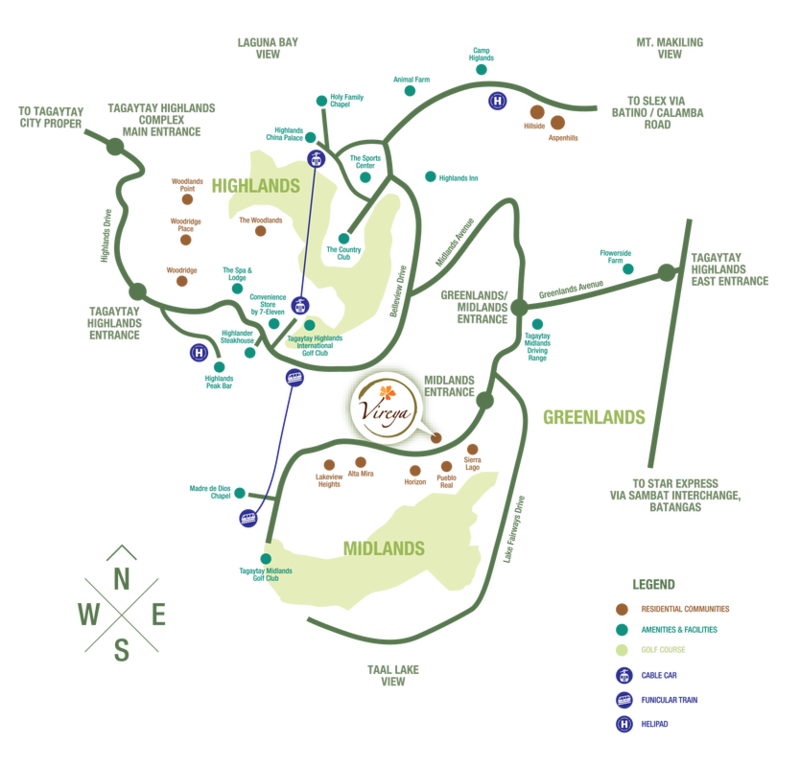 Situated at the highest point of The Midlands, this haven is a visual delight, a perfect setting for those yearning for a holistic escape. 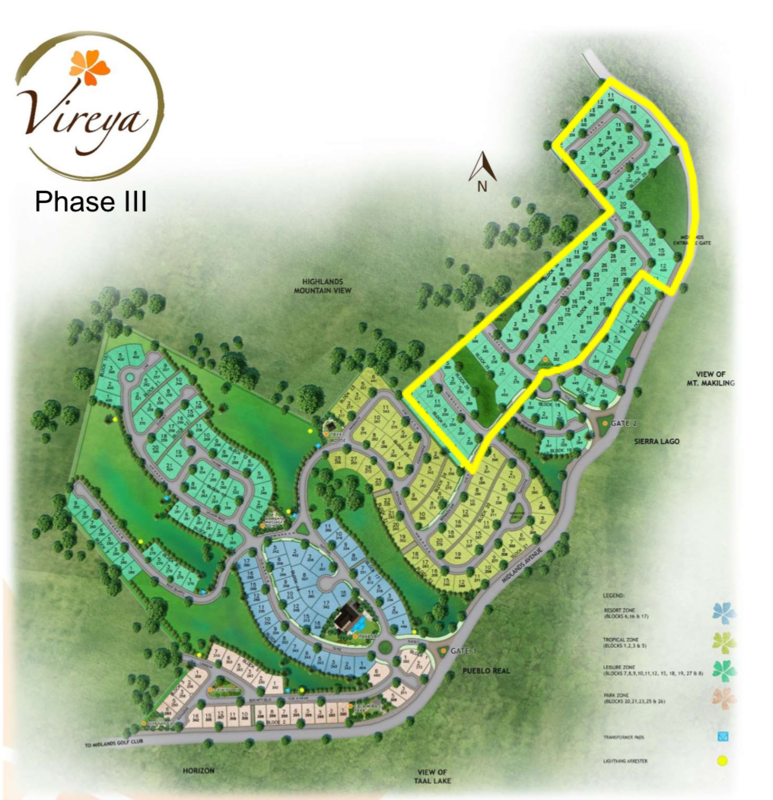 Vireya is where the different elements of nature and architecture are perfectly put together creating a Bali-inspired community, quiet, tranquil place sheltered by tropical landscaping to reinforce the community’s resort feel. 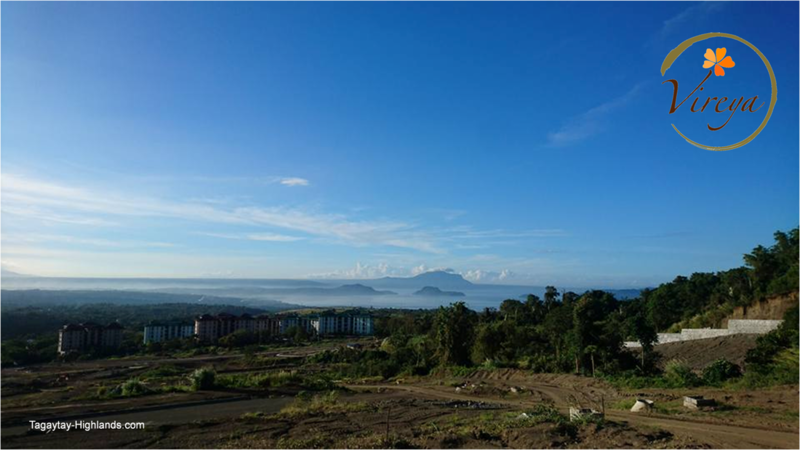 With Vireya as your new home, you and your family can enjoy the best of both worlds - the classic mountain resort living of Tagaytay Highlands and the laid back tropical resort lifestyle. 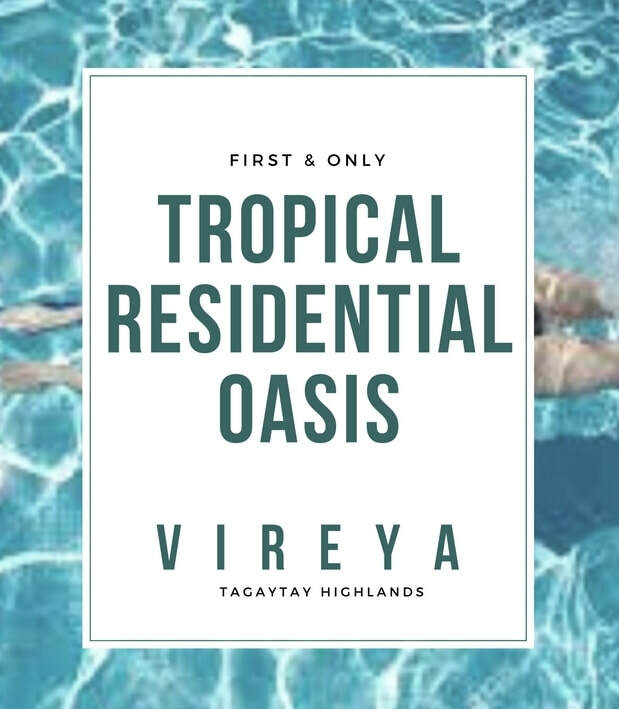 Vireya Tagaytay is the only tropical residential oasis located at the heart of Tagaytay Highlands, the country's most exclusive mountain resort, offering pursuits for seekers of rest and recreation. 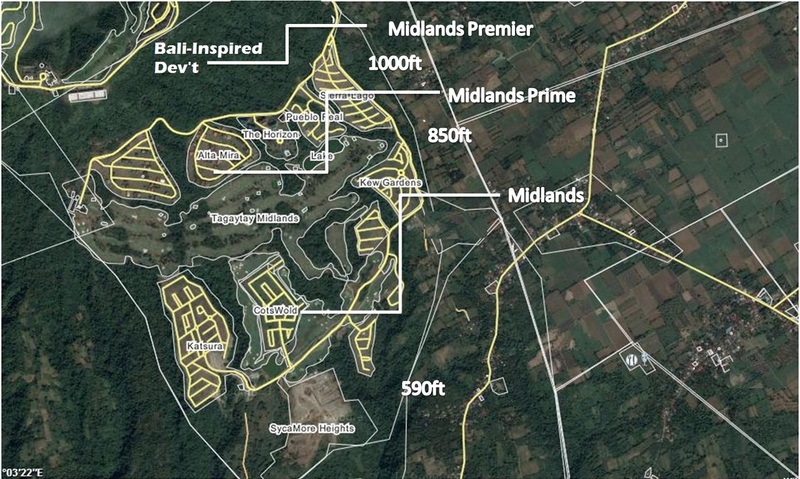 1.2kms from Midlands Golf Club, 4.7 kms from Highlands Golf and 5.5kms away from Gate 2. 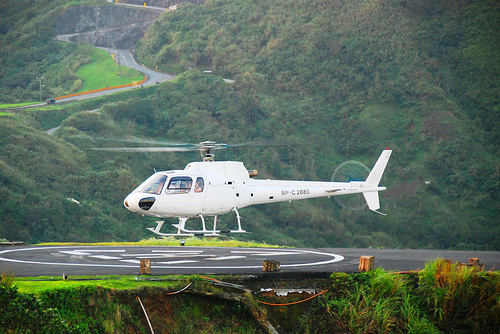 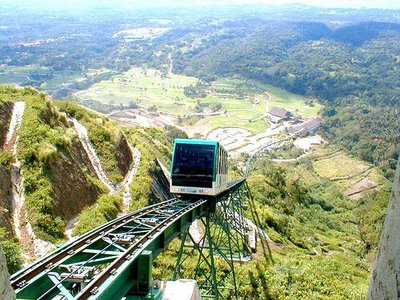 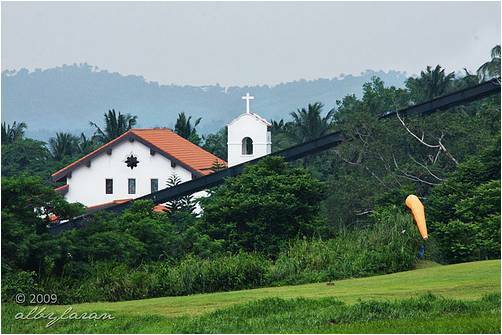 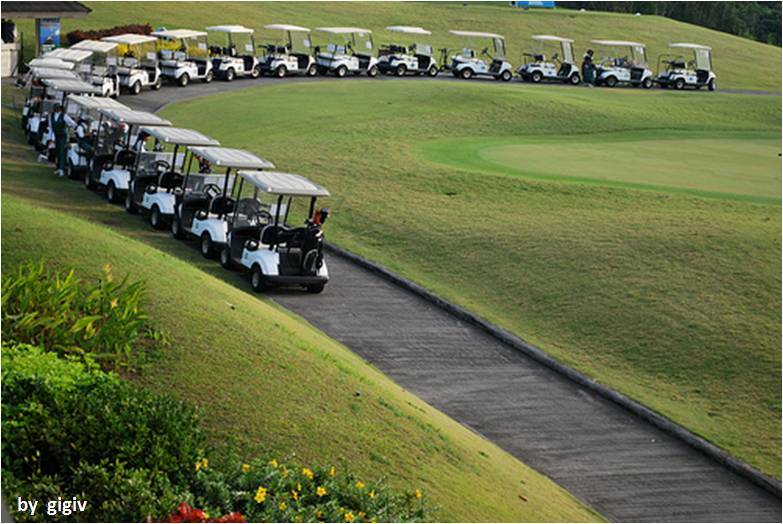 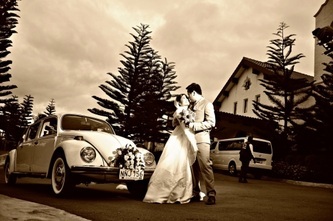 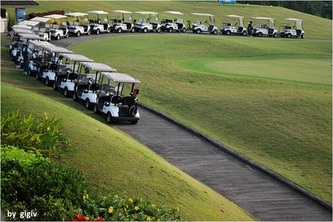 Vireya Tagaytay stands out as the only tropical residential resort community within a resort. 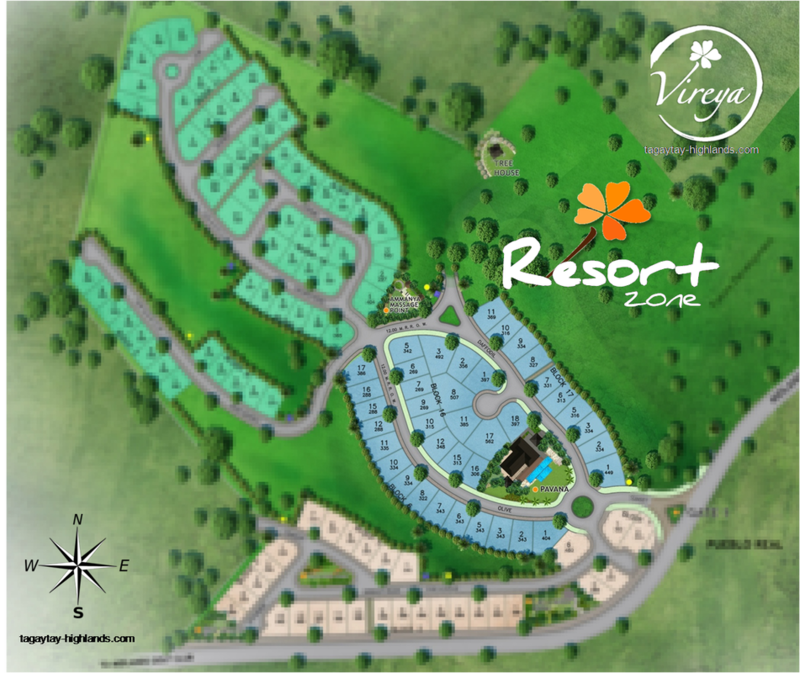 It provides a balanced lifestyle for young growing families, with well-planned amenities fashioned to create fun, active, and truly enjoyable family time. 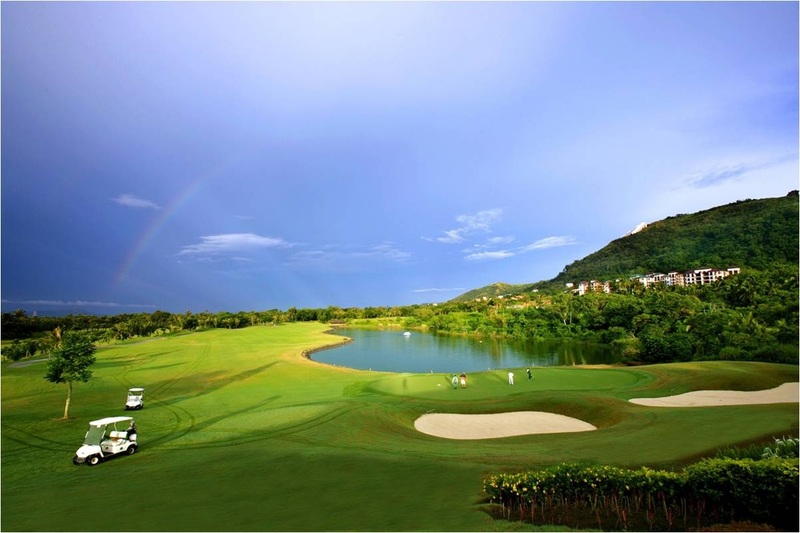 Each block has its own point of interest for the family’s utmost enjoyment and privacy. 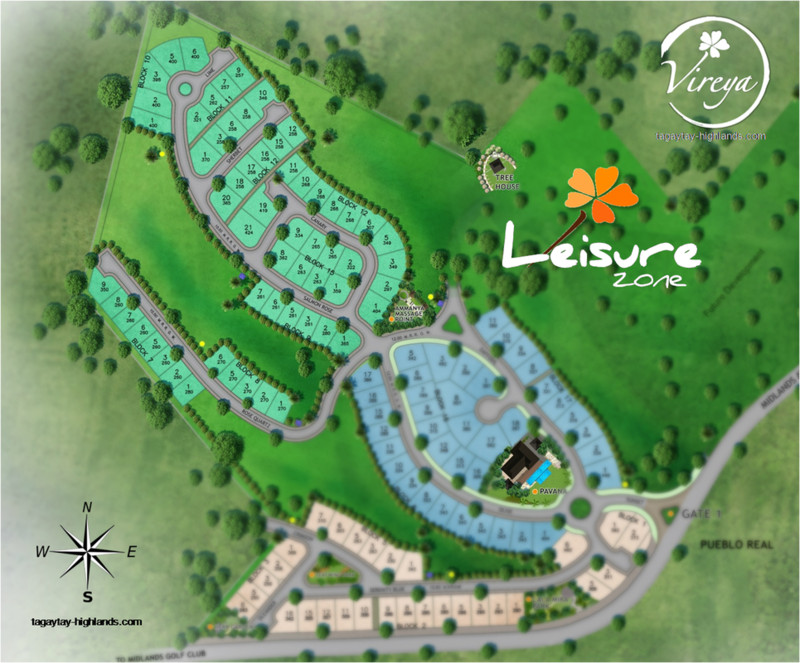 Garden Patio, Play Park, etc. 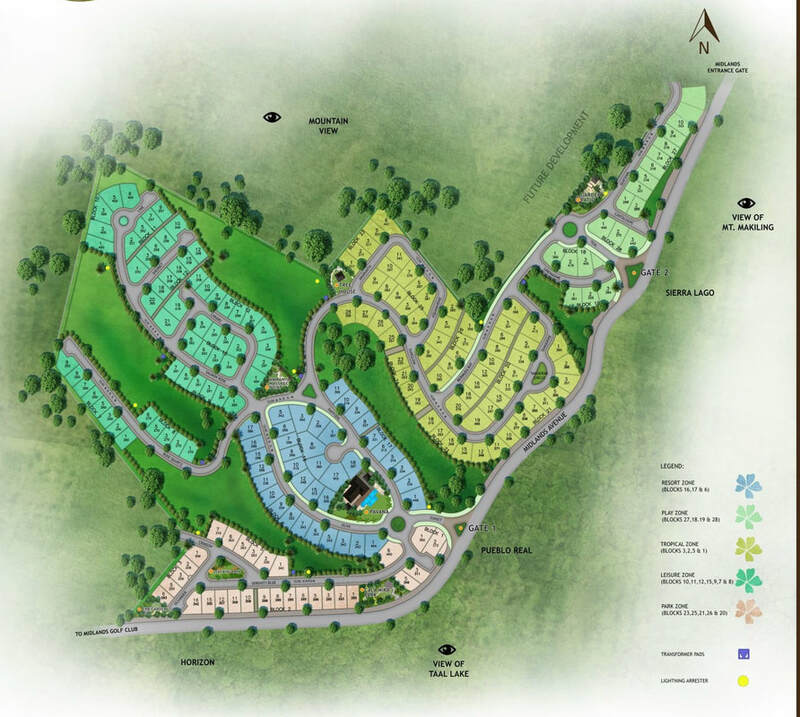 Request for sample investment computation, Viewing or Property Preview, etc.